Paul Bullara was born and raised in the Tampa area and is the Senior Vice President of Development for XXI Financial. 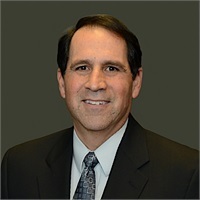 A graduate of Jesuit High School, Paul started his career in the financial services industry in February of 1978 with Bankers Life of Iowa (Principal Financial Group) in the Tampa Bay Area. In February of 1999, he became the Assistant General Agent with MassMutual until January 2012, where he became the Career Development Manager for the Guardian Life Insurance Company of America. In May 2015, Paul joined XXI Financial. Ensuring his clients’ assets are fully protected is Paul’s number one goal. Furthermore, he helps his clients start a program where they can save as much as 15 to 20% of their income and helps increase their overall retirement dollars while helping to reduce their risk. He helps businesses protect key employees and helps to make sure their business will continue to operate if any unforeseen tragedies were to happen to the owners, and finally, he makes sure his clients can leave a legacy while maintaining a solid financial footing through their lifetime. Paul and his wife Kathy live in Land O’ Lakes with their pets and enjoy spending time with their grown children and not-so-grown grandchildren. Paul is a huge Bucs fan and season ticket holder through good times and bad.